Geneva, 5 March 2013. From the moment the spotlight hits the new range - starting with the new Quattroporte, set to make its European debut at the Geneva Motorshow - Maserati reminds us of those luxury sports models which provided the basis for the brand's growth. In line with this philosophy, Geneva will see the world debut of the new four seater GranTurismo MC Stradale, the optimum expression of sportiness combined with the luxury of a coupé made in Modena. 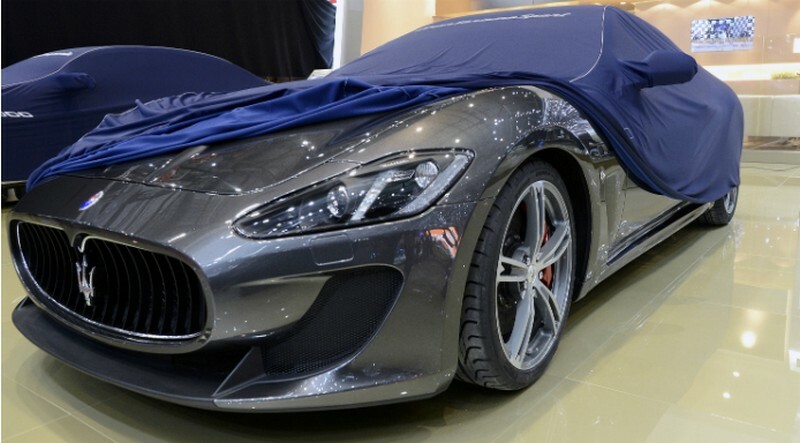 Although the new Quattroporte is the first Maserati to be built at the new Avvocato Giovanni Agnelli plant in Grugliasco (Turin), the GranTurismo MC Stradale will be built at the historic factory in Viale Ciro Menotti in Modena. 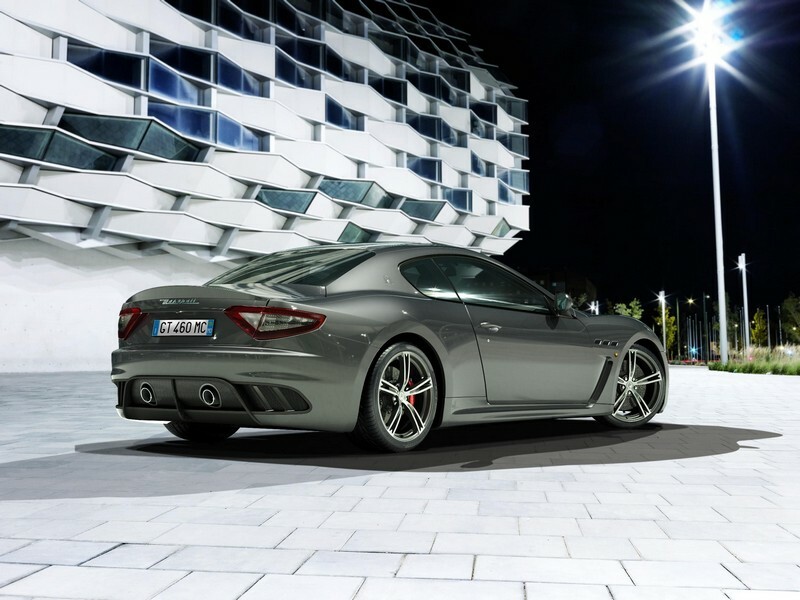 Just like the previous two seater version, the new four seater GranTurismo MC Stradale takes its inspiration from the racing version which competes in the Maserati Trofeo Championship, offering the perfect combination of sportiness, luxury and elegance, comfort and style, functionality and dynamism that can now be enjoyed by four people. The new aesthetic exterior features, with their clear racing edge, are highlighted by the new carbon fibre bonnet which frames an important central air intake and two rear extractors and the new forged 20" alloy rims. The new GranTurismo MC Stradale boasts a cabin that has four comfortable seats and an interior design featuring new materials and style. Also confirmed, the 4.7 litre, 460 HP aspirated V8 engine which made its debut in the GranTurismo Sport and is now, with its installation on the new GranTurismo MC Stradale, present throughout the entire 4.7 litre GranTurismo range. Combined with an MC Race Shift 6-speed electro actuated gearbox, this engine ensures outstanding performance - with a top speed of 303 km/h (188mph) - which can be enjoyed in this new four passenger configuration. The safety of the vehicle is guaranteed by the Brembo carbon ceramic brake disks. In keeping with Maserati's principles, the new GranTurismo MC Stradale makes the most of the work invested in the previous model in terms of reducing fuel consumption and emissions. Maserati has turned its beautiful and potent GranTurismo MC Stradale into a machine that is just as fast but even more practical, technically advanced and even more beautiful. First launched in 2010, the two-seat GranTurismo MC Stradale took development ideas from its Trofeo racing cars seamlessly blending them into its GranTurismo coupe. This year Maserati took those ideas and evolved its light-weight two-seat super coupe into the four-seat 2013 GranTurismo MC Stradale. Its all-new carbon-fibre bonnet not only creates high-speed downforce and improves cooling, but also means the four-seat GranTurismo MC Stradale retains almost the same dry weight as the discontinued two-seat version (1700 kg.). This means it continues to be the lightest and fastest car in the Maserati GranTurismo range, even though it now offers comfort to four adults instead of two. 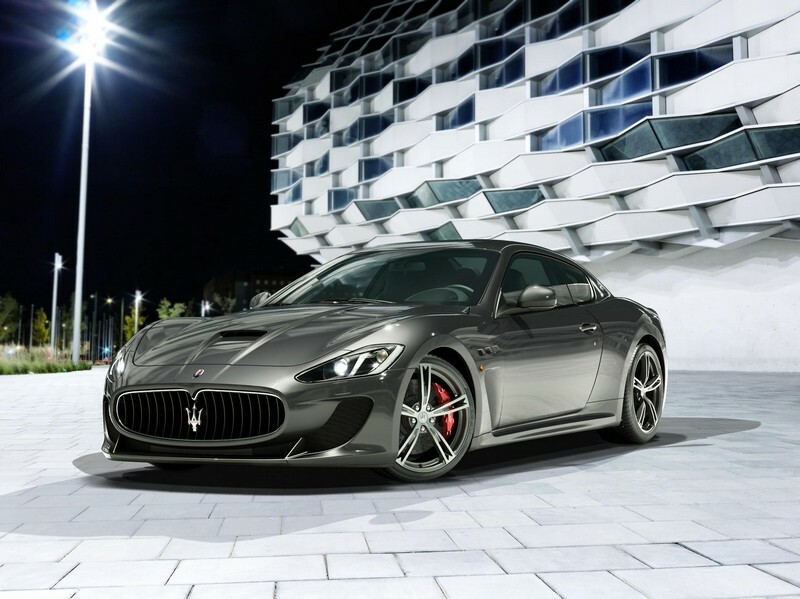 The ongoing development of the GranTurismo MC Stradale also proves that Maserati has not neglected the importance of its two-door coupe range even with the world’s focus on its all-new Quattroporte model. Powered by the most potent version of Maserati’s 4.7-litre V8 engine, the GranTurismo MC Stradale hits 100km/h in just 4.5 seconds on its way to a top speed of 303km/h (188mph). The GranTurismo MC Stradale utilises the most powerful 460CV (338kW) version of the 4.7-litre V8 and mates this to the lightning-fast gear shifts from its six-speed electro-actuated “MC Race Shift” transaxle gearbox. Drawn from the GranTurismo Sport, this version of the classic 4.7-litre V8 benefits from diamond-like coating of its tappets and camshaft lobes as part of Maserati’s Low Friction Program to be both powerful and fuel efficient. The transaxle gearbox layout not only helps the GranTurismo MC Stradale to retain an ideal 48:52 front-to-rear weight distribution, but also incorporates the brilliant MC Race gear shifting strategy that allows it to change to higher gears in just 60 ms, 5 times faster than a blink of an eye. The transaxle layout means that it sits in the same housing as the asymmetrical limited slip differential. The powertrain package also delivers its drivers the choice of Automatic, Sport and Race modes, with each level delivering additional rewards in the throttle response, the exhaust note and the skid-control systems. In another lesson drawn from its racing experiences, the gearbox also offers Sequential Downshifting, where the driver can simply hold the downshift paddle in while braking and allow the car to change to sequentially lower gears until the paddle is released. All of the dynamic performance the GranTurismo MC Stradale generates is backed up by some of the most powerful brakes in production, with enormous carbon-ceramic brake disks at all four corners. The brake master cylinder has a diameter of 27mm to add consistent power and deliver a shorter pedal stroke than the standard car. The front brake package has 380mm x 34mm brake disks and six-piston calipers, while the rear has 360mm x 32mm discs and four-piston calipers. It also rides four 20-inch forged alloy wheels that are lighter than the standard wheels, while Pirelli has developed its PZero Corsa tyres (255/35 ZR20 at the front and 295/35 ZR20 at the rear) specifically to deliver more mid-corner grip and progression for this layout. The suspension and chassis layout enhance the already-impressive track performance of the GranTurismo MC Stradale without losing any of its abilities as a day-to-day car. Its chassis poise was developed to be easy to drive and as comfortable as possible to retain all of the inherent handling, ride and stability benefits of the GranTurismo’s long wheelbase. This long (2938mm) wheelbase is the key which unlocks the GranTurismo MC Stradale’s broad range of handling abilities across different conditions, allowing it to switch from a super-aggressive track car to a city commuter or autobahn express in the time it takes for the driver’s mood to change. It has the speed to be a road-legal racing car, with its ride height lowered by 10mm at the front and 12mm at the rear compared to the standard GranTurismo Sport, yet it has the progressive handling to be considered an extremely usable super-sports car. The car has been developed specifically to be comfortable, progressive, balanced and entertaining for all drivers, while its Race mode is designed to deliver fast lap times in complete security. Another key to the delivery of this potential has been the retention of the 2012 GranTurismo MC Stradale’s aerodynamic benefits with the addition of the sculpted carbon-fibre bonnet. With lessons taken directly from the Trofeo and GT4 racing programs, the bonnet contains an air inlet vent and two hot air extraction vents and delivers the twin benefits of reducing weight and adding 25 percent more frontal downforce at 140 km/h (86mph). Developed from both track feedback and complex computational fluid dynamics (CFD) research, the new bonnet adds high-speed stability without increasing drag, largely by relieving under-bonnet pressure. The new carbon-fibre engine cover joins a host of other Trofeo-derived aerodynamic updates that add high-speed stability and efficiency through the air. These include a deep front splitter integrated into the front bumper, deep functional side skirts, a re-profiled rear bumper and a pronounced rear lip spoiler on the boot. All of these units combine as one integrated aerodynamic device to use the entire length of the car to generate downforce and to refocus the air from the engine and brake cooling systems into areas of maximum downforce and minimum turbulence. Its black grille and the red accents on the Trident mark it as one of Maserati’s MC range even to casual observers, but some of the biggest developments have been inside the Maserati GranTurismo MC Stradale, where four lightweight seats replace the two seats from the discontinued 2010 two-seat version. Front seats utilise carbon fibre back to achieve their low weight and also cater for Maserati’s traditional luxury with a combination of leather and Alcantara trims. All four seats also have integrated head restraints for safety and support. The standard trims are soft black. The seats can be delivered with Alcantara with “drilled” perforations to achieve a stylish, practical finish, coupled with red stitching to match the accents on the grille’s Trident. The Maserati GranTurismo MC Stradale has three steering wheel options, all of which have multi-function buttons and a flat-bottomed section on the circumference. They can be delivered in full leather, a combination of leather and Alcantara or a combination of leather and carbon-fibre. To continue its more aggressive interior theme, the Maserati GranTurismo MC’s gearshift paddles are longer than those in other GranTurismos in order to facilitate easier gear shifting in more demanding driving situations, and come in concert with perforated aluminium pedals.